Jeep Wrangler is one of the most popular and recognizable vehicles on the road, and the 2018 Jeep Wrangler has all of the features that people know and love. If you’re looking into a Jeep Wrangler, take a look at these amazing features! One of the main reasons people get Jeeps is because they allow people to take the road less traveled. In fact, with a Jeep, you can drive comfortably whether there’s a road or not. The four-wheel drive that comes with every Jeep gives you traction in almost any situation. Driving in the rain and snow will become a breeze. Plus, you can drive on bumpy roads or off-road. Jeeps have a great look. It’s rugged but attractive at the same time, and a Jeep still looks good covered in dirt and mud. It’s not only attractive on the outside, but newer models have an impressive interior design that makes it a very comfortable vehicle to drive. 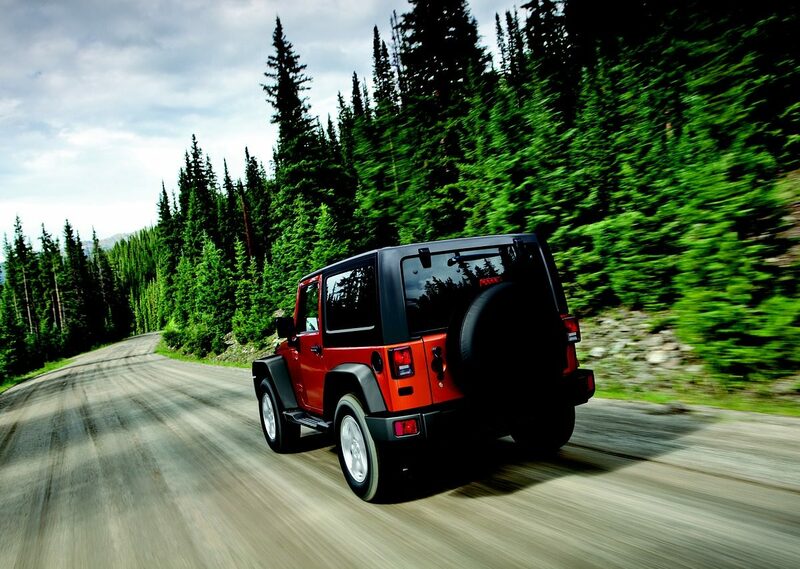 The Jeep Wrangler allows you to take the top down and literally feel the breeze in your hair. It makes driving in the summer even more enjoyable while still giving you the power and off-road capabilities that people expect of a Jeep. Now that the top no longer has a zipper, taking it off and putting it back on is easier than ever before! The 2018 Jeep Wrangler Sport has a base MSRP of $26,995. For the car’s capabilities, that’s certainly a steal! Of course, there are plenty of options which could alter the price. That brings us to the next reason to look into a 2018 Jeep Wrangler. The Sport is the most basic of the models while the Rubicon is the most inclusive. Talk to your dealer about which Jeep Wrangler is best for you. Jeep has a long and impressive history that has kept it one of the top names in the vehicle industry for a very long time. The brand is over 75 years old, and it came to popularity by building vehicles for soldiers in the 1940s during WW11. The soldiers especially loved the revolutionary (for the time) four-wheel drive that the brand is still known for. If the vehicle is good enough for our nation’s bravest, it’s certainly able to assist with your day to day needs. The Jeep Wrangler came out in 1986, and it maintains the same high expectations that we have come to know from Jeep since they arrived on the scene.